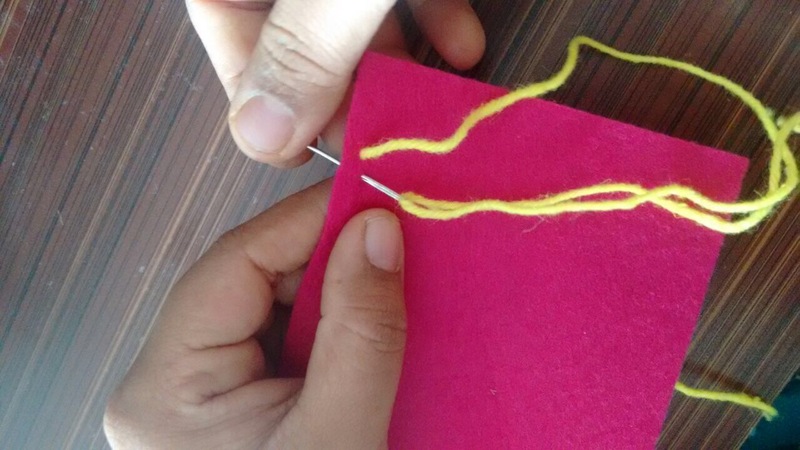 This week’s craft hack is Sonali Kulkarni’s idea- Sonali is a crafter by passion, who has converted that into her profession. She joined the energetic KidEngage team in February 2016. She takes care of the kids’ interests with a ‘hard to miss’ infectious smile during the various workshops while encouraging them to read and learn. 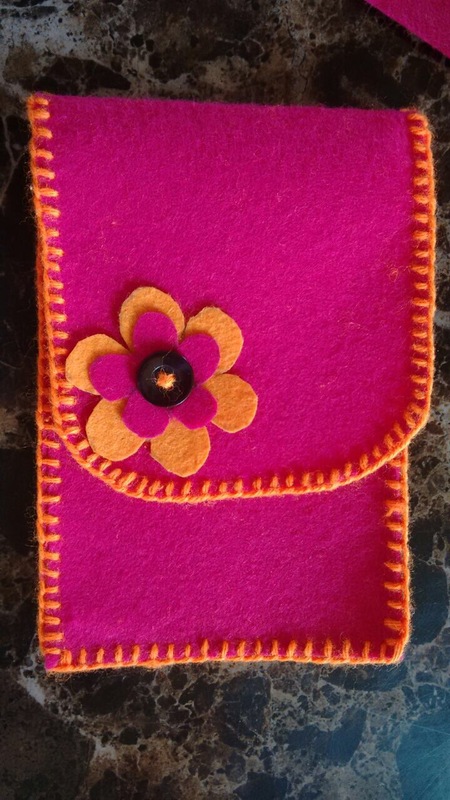 Let’s craft a felt pouch for your mobile and carry your phone in some artsy style. 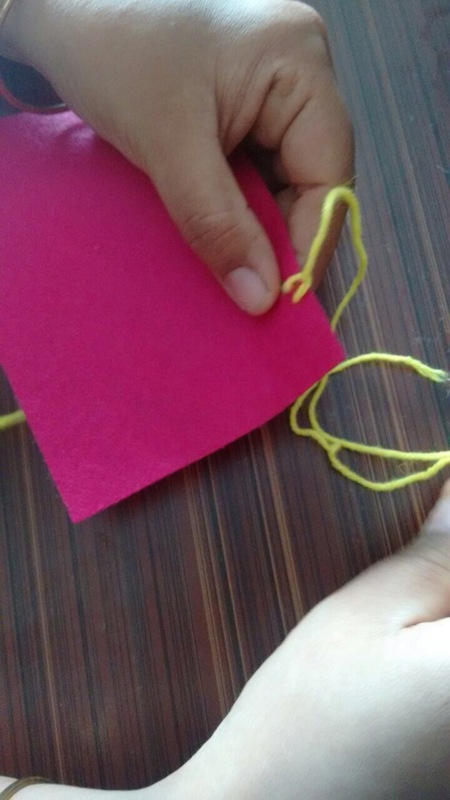 P.S: Kids can also make and gift it to their parents or teachers! Read on for all the instructions. 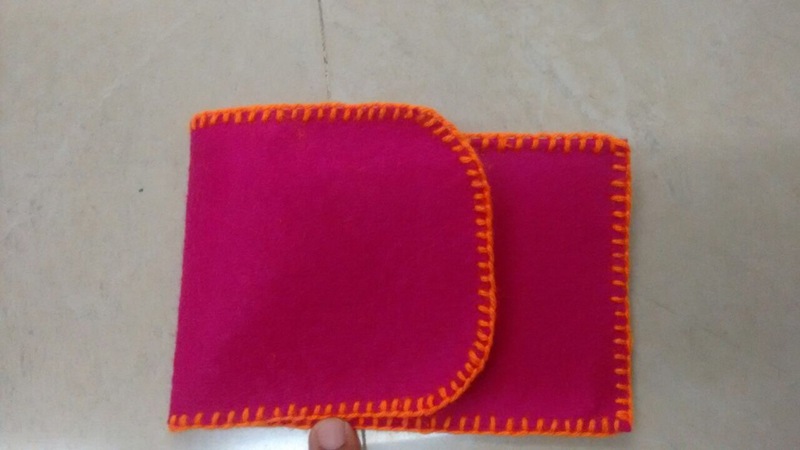 2 Fold in a half and cut the portion of 1/4 of felt sheet. 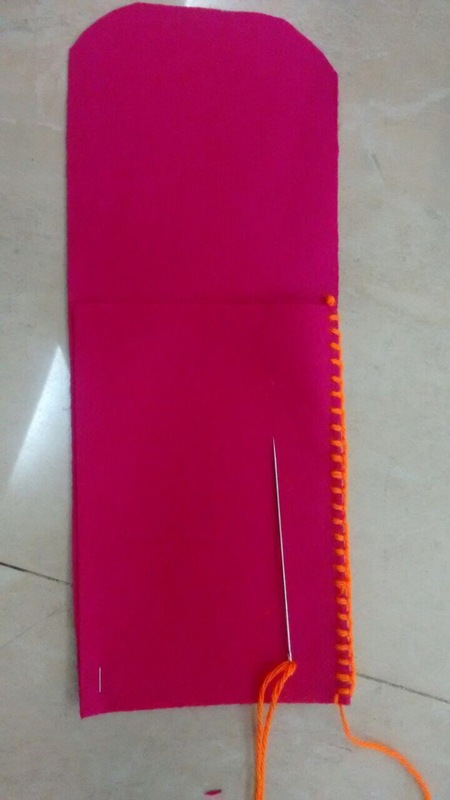 c) The needle and thread will now be at the back of your fabric. There should be a loop at the front. d) Bring the needle up and thread it under and through your loop. e) Push the needle back through to the back of the fabric . 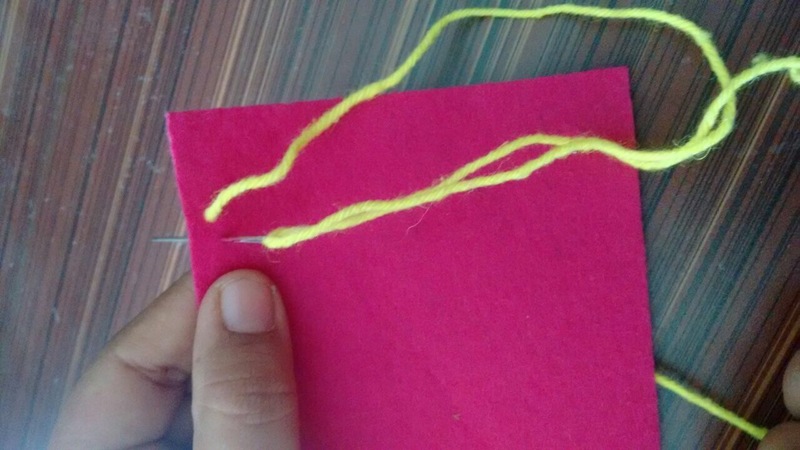 Make a loop again and thread your needle under and through your loop. f) Continue along until you reach the end of the fabric. 5 And stitch it with button on front side of the pouch. 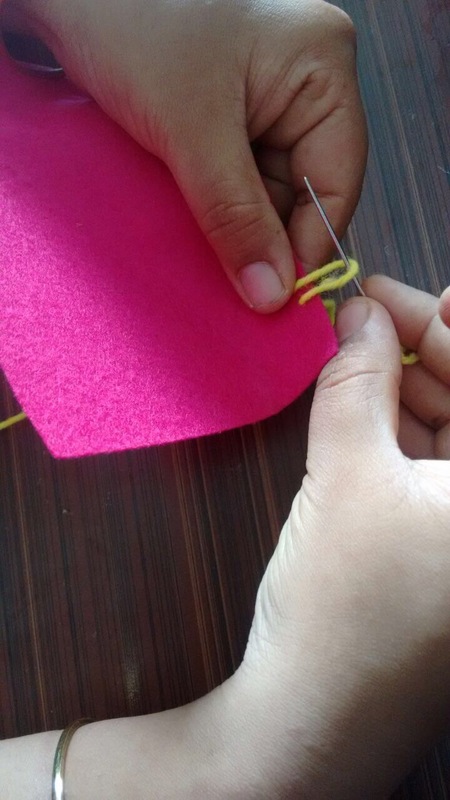 If you have a craft idea to share with us, mail it to sammy@kidengage.com and wr will publish it on our website. Previous 7 Tips on How Acting and Drama Classes Help in the overall growth of Your Child! Very nice Sonali loved this mini purse. Sonali its beautiful ! 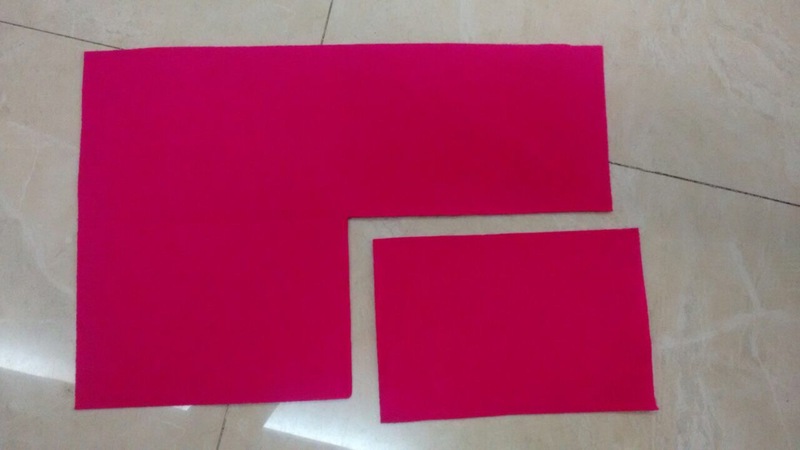 One more thing we can do with this material .we can make sitting mat .